Chinese cryptocurrency mining giant, Bitmain, has officially filed an application to conduct an Initial Public Offering (IPO) on the Hong Kong Stock Exchange (HKEX). The application has been long anticipated by analysts, and many cryptocurrency investors are excited at the prospect of being able to invest in the mining operation. First published today, the IPO prospectus document does not offer investors any insight into share pricing or evaluation. However, based on their reported revenue of over $2.5 billion in 2017 alone, it is likely that the company will be valued at billions of dollars in the IPO. In addition to having incredibly high revenue, Bitmain is also very profitable, reporting a gross profit of over $1.2 billion last year, up $150,000,000 from the year prior to last. In the first six months of 2018 alone, Bitmain has reported a gross profit of over $1 billion. The prospectus also notes that their balance of cryptocurrencies, consisting of Bitcoin, Bitcoin Cash, Ethereum, Dash, and Litecoin, was worth $886.9 million as of June 30, 2018. Due to the general market crash that has ensued since late June, it is likely that these cryptocurrencies are currently worth less than they were in June. Bitmain’s main revenue driver is mining equipment sales, but the company also runs some massive mining collections that allows them to accrue cryptocurrency with relatively small initial investments. Over the past year, Bitmain has been facing growing competition from other mining equipment producers, including Canaan Inc. and Ebang International Holdings, who are both racing to file for IPOs in order to fund their operations as Bitmain defends its market share. Estimates claim that Bitmain currently controls 85% of the cryptocurrency mining industry. In August, BitMEX Research, the research and analytics arm of the popular cryptocurrency exchange, wrote a report titled “Unboxing Bitmain’s IPO,” where they detailed the company’s profitability and reasons for conducting an IPO. The report noted that the mining giant was purposely driving down their profitability in an effort to crush the competition, as they have more resources to last and grow while running on marginal profits as compared to their smaller competitors. 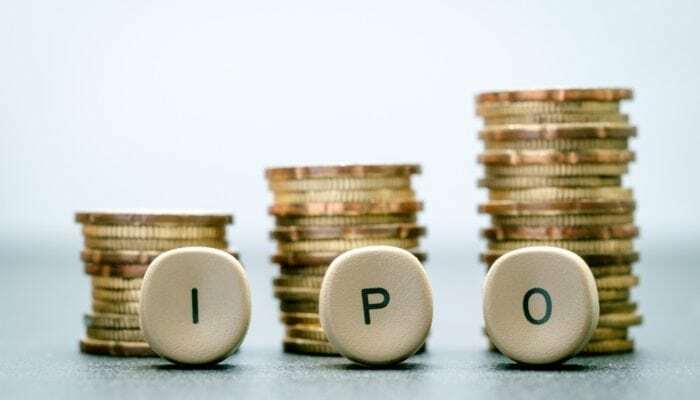 The report also examines the reasons behind an IPO, explaining that this could be a move to increase market share, as investors typically flock to the companies that dominate a specific industry. By beating competing mining companies to the public markets, they will control the demand from retail stock investors, making it significantly harder for other companies to be successful on the public markets. Another important factor that may be influencing the IPO is losses resulting from investing in Bitcoin Cash, which has weakened their balance sheet. “The other reason for the IPO may be to strengthen the balance sheet after investing the majority of the operating cash flow into Bitcoin Cash. Bitmain only had around $105 million of cash on the balance sheet as at March 2018, when this figure could have been nearer a billion dollars if the company hadn’t acquired so much Bitcoin Cash,” BitMEX hypothesized. At the time of publishing, though, Bitcoin Cash has jumped in value by over 20 percent in 24 hours, which may be the result of Bitmain’s IPO. It’s currently worth $519, according to CoinMarketCap. Although the IPO looks promising, there is no guarantee of success due to the current weakness of the HKEX, which has been one of the weakest markets worldwide in 2018.